Building Our House of Grey and White: Craftsman Style Homes...Inspiration For Our Frontage. 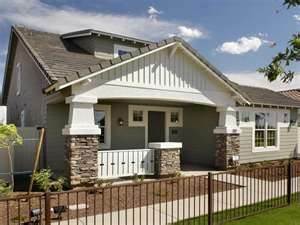 Craftsman Style Homes...Inspiration For Our Frontage. 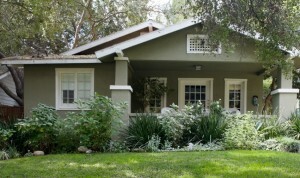 I love Craftsman style homes, also called Arts and Crafts and Californian Bungalows. 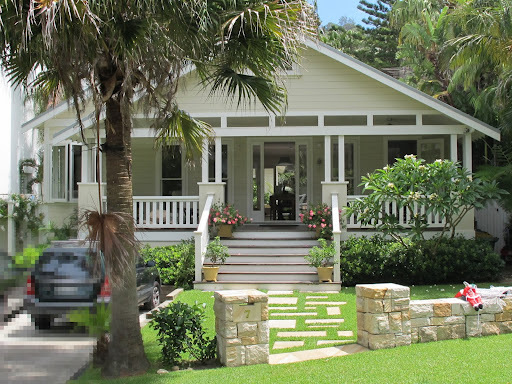 They are my most favourite style of house and I would have loved to have gone with a private builder and built one. But we decided to go with a project builder to get more size and inclusions for our money. Not sure after all our upgrades if it would have cost about the same with a private builder but with my husband travelling so much we were really just too time poor to sit down and draw up floor plans and get quotes. 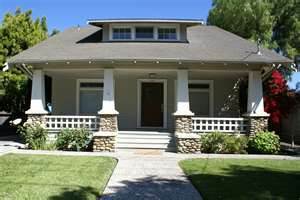 So after checking out the frontages we were allowed to have with our plan, the closest one to have a little of this style was called Californian Bungalow. But I also liked a frontage for some of the other plans called The Resort which was not one of our frontages. We asked M if they would allow us to have this frontage instead of one of the frontages assigned to our plan and luckily they gave it the go ahead. They really have been quite flexible about things. This is the front elevation without changes. We feel we kinda get a little bit of a craftsman feel while still keeping a little modernness as well.But we have made some changes to the look that differs from the above picture to give it a different feel. We have kept the parapet over the garage, this of course is a modern touch and not craftsman at all. We kept the front porch and actually made it deeper. We took out all the sticking out stone bits but kept the stone accents at the bottom of the porch. Kept the paned look windows but removed the extra corner bits on one of the front windows. The modern pivot door and sidelights have been kept but we have chosen a design that has a paned window look to it. The rafter tails which are only out the front are staying, I love them and very craftsman. The front porch area will be decked. 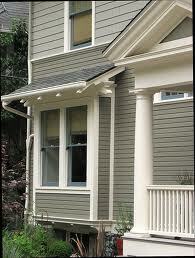 The biggest thing we decided to do was to build most of the house out of weatherboard, it was my must have. M uses Scyon Linea Weatherboard and it will be on most of the house, however it did prove to be an issue. We wanted it to start from the ground to roof right around house except for the parapet over the garage, parapet at the side of house and the two pillars holding up the outdoor area, they were all to be rendered. But M uses a glass termite barrier around the slab which meant the weatherboard could not start from there, we would have to have a rendered bit running around the bottom underneath all the weatherboard...not the look we were after. To cut a long story short after many discussions about it the lovely lady looking after our house file talked directly to the engineers and they agreed to at least lowering the height of these rendered bits. So we still have to have the render bit running around underneath but it will not be as high and we will have more weatherboard. 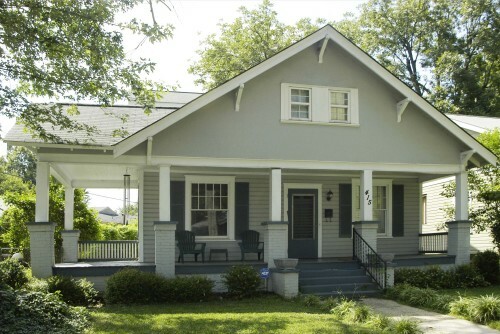 While the frontage is not really a traditional Craftsman style home it does have a few little touches like the porch, rock accent, paned windows, rafter tails and weatherboard to make me happy enough. I am willing to live with the render running around the bottom as I really wanted a weatherboard home. Back and Southern side but missing two windows in this elevation in the ensuite. So that's how we tried to turn a modern project home into a home that has a tiny touch of craftsman about it. Hopefully it doesn't turn out too badly, I am a little nervous about what we have done. Hi, I've been watching your blog for just a little while. The 'Grey and White' part in you blog title had me intrigued right away! I absolutely love the look of what you are going for. It's such a cottage like feel. We were much the same with what we wanted. Originally we wanted a colonial style home but it was just too expensive for what you get. We went with Coral Homes in the end, but we also tried to keep a few of the same things we had liked. So we've ended up with grey bricks called 'slate' and some weatherboard features too. We had the same issue with them not wanting to put weatherboard all the way down to the ground, so they compromised and we have a brick sill along the front of the house. We also added a bay window. Can't wait to see your house start to come together, sounds like it will be beautiful!! We are about a week and a half away from handover on ours, I never thought this time would come, but it's suddenly here! Best wishes, I hope everything goes really well, I'll be tuning in excitedly over here! Thanks for following along, it's a little nerve wracking as we have fiddled with the whole look and it may all look like a hodge podge of styles yet! We too felt the private builder option would leave us with a smaller house and less inclusions. The brick sill sounds like what we will be having as well and that was our main reason for keeping the rendered parapet over the garage to tie in with the rendered bit that will run all around the outside underneath the weatherboard. Thanks for your comment and if you have a blog I will have to drop by to see your handover, how exciting for you.